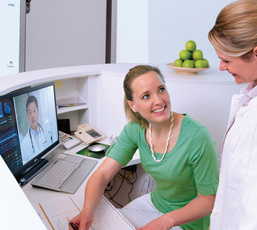 With the influx of new digital technologies available for the healthcare industry, facilities have to consider new methods of delivering more personalized and compassionate service. 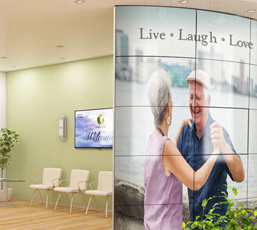 Public displays can connect and convey a sense of openness and ease in locations such as lobbies, hallways, and cafeterias with digital way-finding, information, menu boards, and dynamic advertising. 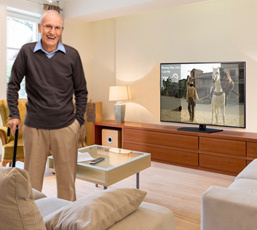 In-room patient TVs can be an indispensable care instrument, lending themselves as a familiar and enjoyable activity during the recovery process with entertaining shows, movies, games, even the web. LG excels in providing the latest in digital technology and developing digital solutions designed for the particular needs of healthcare facilities. 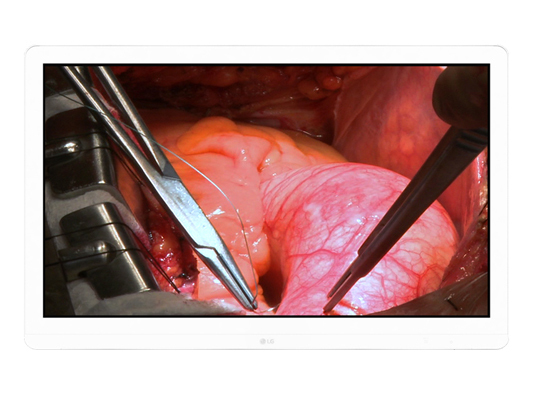 LG’s suite of Medical Grade Monitors are comprised of LG Clinical Review and Surgical Monitors with advanced display technologies. They’re designed to help improve the accuracy, quality, and efficiency of diagnostic procedures. 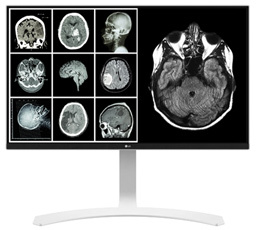 Built to international medical digital image standards, the LG medical monitor supports fast, positive medical judgement through a myriad of functions designed for accurate diagnosis. For the hospital patient room environment, LG US Business line of UL Grade healthcare LCD TVs feature advanced technologies with sleek designs to fit within your vision of establishing an exceptional patient service. 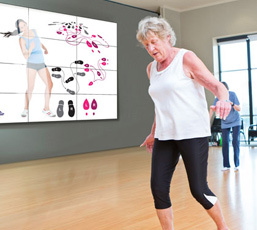 LG’s healthcare grade displays can be an indispensable care instrument, lending themselves as a familiar and enjoyable activity during the recovery process with entertaining shows, movies, games, even the web, or providing onscreen care information specific to each patient. 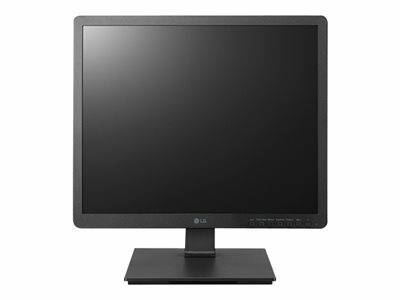 LG continues to move forward in developing LCD commercial desktop monitors designed to match the demands of hospital environments. 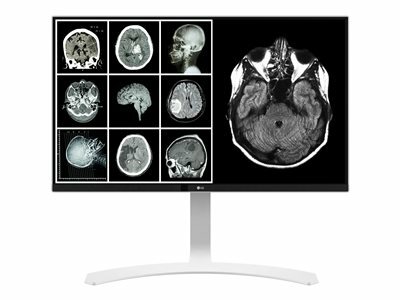 Whether for a reception desk or a physician’s office room, LG’s line of reliable and performance driven desktop monitors have the ability to render images and text with delicate precision. Create visually stunning video walls that are easily installed, maintained and managed when you choose commercial display products from LG. Starting with a complete line of Large Format Displays and Commercial TVs, touch screens, and stretch screens, LG has expanded their range of public display solutions to incorporate diverse options such as hospital directories, information kiosk displays, and menu boards. Way finding services and educational information can be easily accessed at the touch of a button for patients and guests. 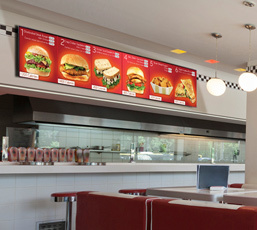 Our display solutions for cafeterias and QSR signage can make a visual statement to boost appetites add a level of refinement and distinction to your establishment.